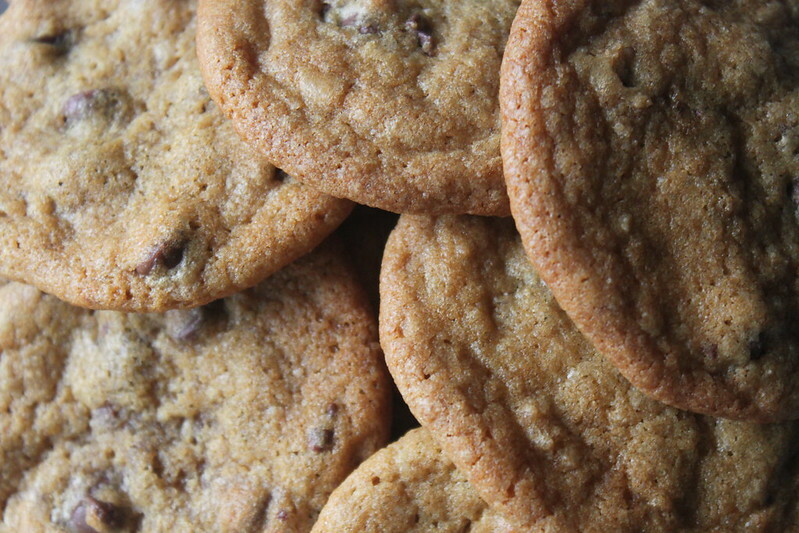 Food + Memory: Chocolate Chip Cookies: Chewy texture with a crispy edge – that’s how I like my chocolate chip cookies! 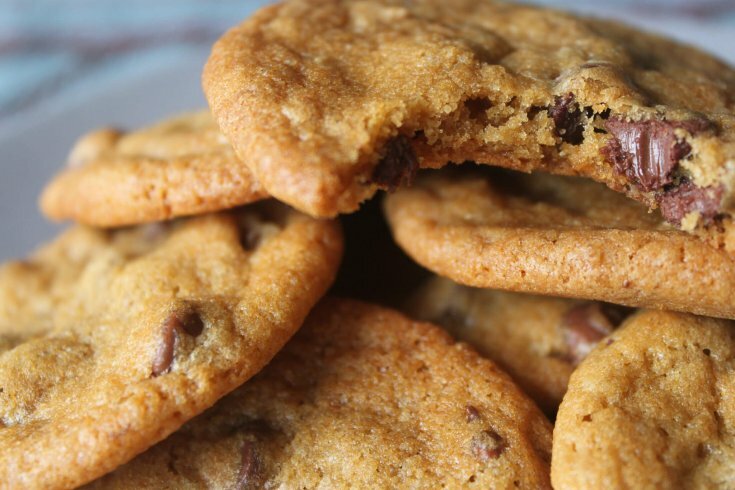 Chewy texture with a crispy edge – that’s how I like my chocolate chip cookies! Let’s take a stroll down memory lane. Food and memory are inextricably linked. How we taste food presently is colored by our memories of what we have tasted in the past, isn’t it? 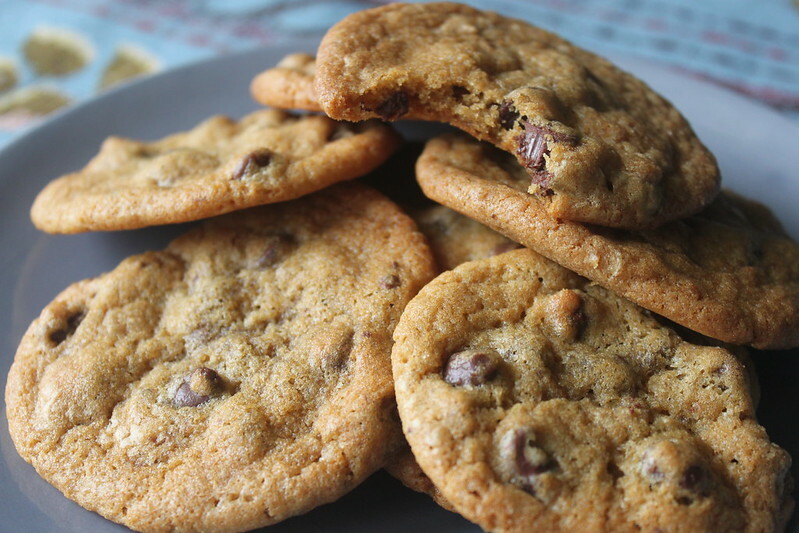 One of my first sweet *food* memories is of chocolate chip cookies. And which recipe were they? They were cookies made from the Nestle Toll House Chocolate Chip Cookie Recipe. I started baking when I was very young (under 10 years old) and the first thing I can remember baking from scratch was chocolate chip cookies. 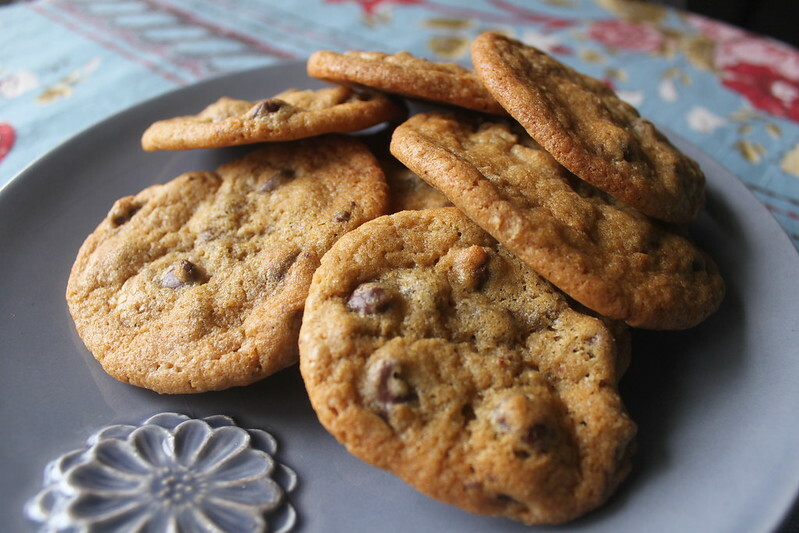 This is also the first recipe that I modified – and modified so extensively until eventually I had my own chocolate chip recipe. I will have to find that recipe someday and share it with you or perhaps I can try to re-create it one day. 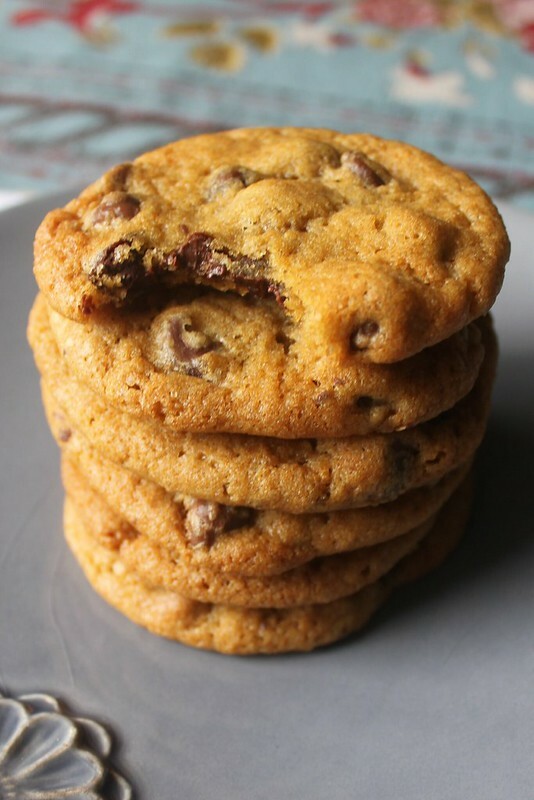 I know, I know, there are better chocolate chip cookie recipes out there but the Toll House one is widely known and experienced by many people. This recipe is a cultural icon. 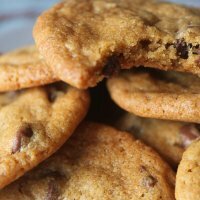 Though there are some wonderful chocolate chip cookie recipes that exist, this one is the is the benchmark recipe for comparison that I think of when I taste and analyze a chocolate chip cookie. Did I just say that? Yes, I analyze chocolate chip cookies when I taste them. When Toll House Chocolate Chip Cookies are made well, they are pretty darn good. They were the bright spot of my day when I made them a couple of weeks ago on a gloomy, rainy Spring afternoon. Gotta love biting into those crispy edges! 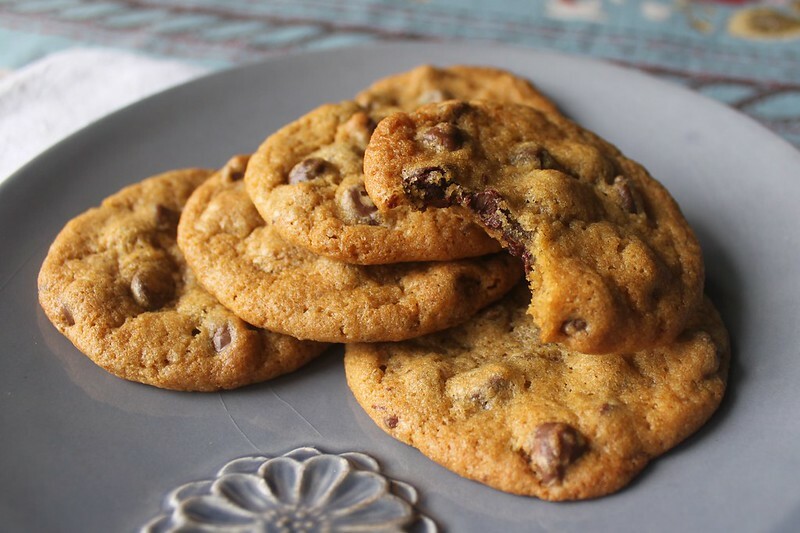 Below is the Toll House Chocolate Chip Cookie recipe in my words, for the original, check out the back of a 12 ounce bag of chocolate morsels, or on the Nestle site. I have found that putting the dough in the refrigerator for at least 20 minutes to half hour will make the dough easier to handle if it’s a warm day and this also helps with reducing cookie spread. If you do refrigerate the dough, you may need to add an extra minute or two to the baking time. I use a cookie dough scoop which makes the cookies the perfect shape; the rounded shape also helps with reducing cookie spread. A cookie scoop keeps your hands a little cleaner too! I have been using an OXO medium cookie scoop and that works well. The great thing about this recipe is that you can know you will be eating fresh baked cookies in less than a half hour which makes for great spontaneous baking. 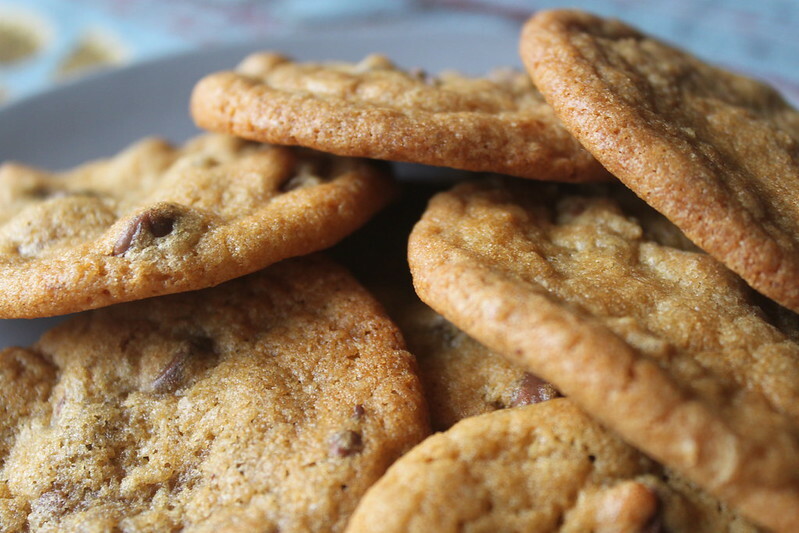 Admit it, your mouth watered just a little bit at the sight of these cookies, right? I love how crispy they look! Thank you Dani! Yes, they were so good, I need to make them again soon!